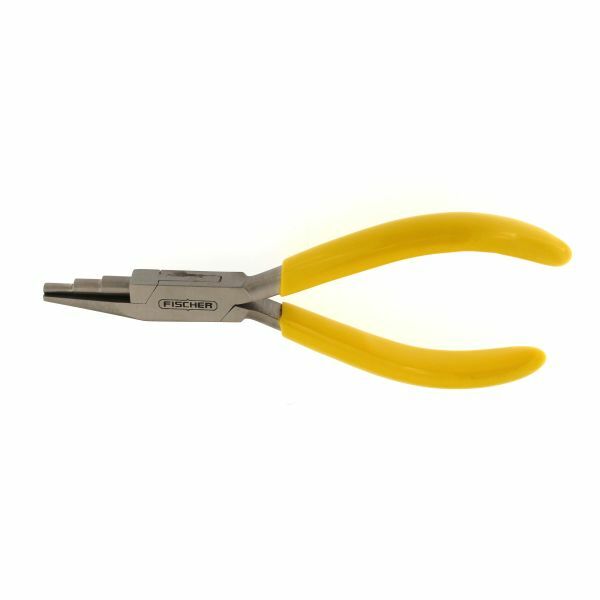 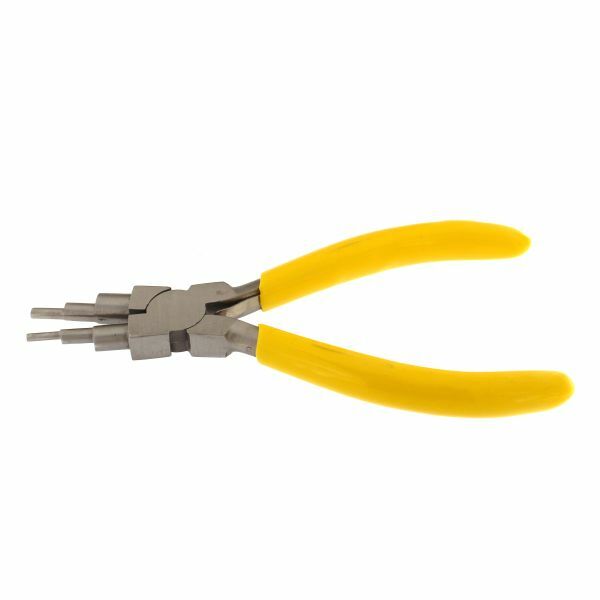 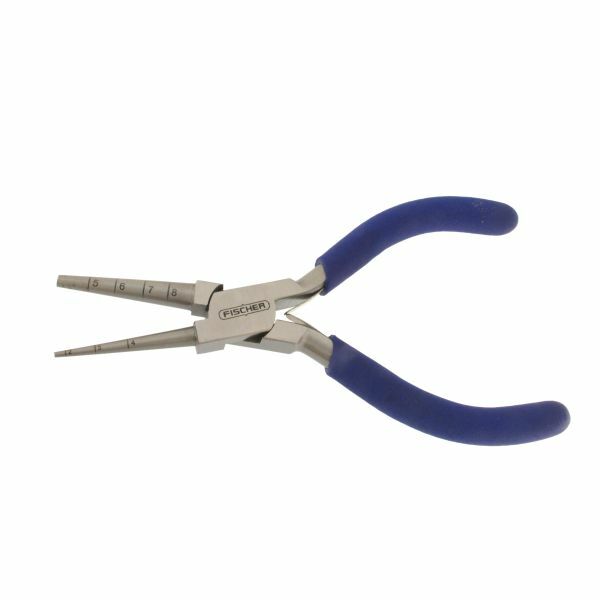 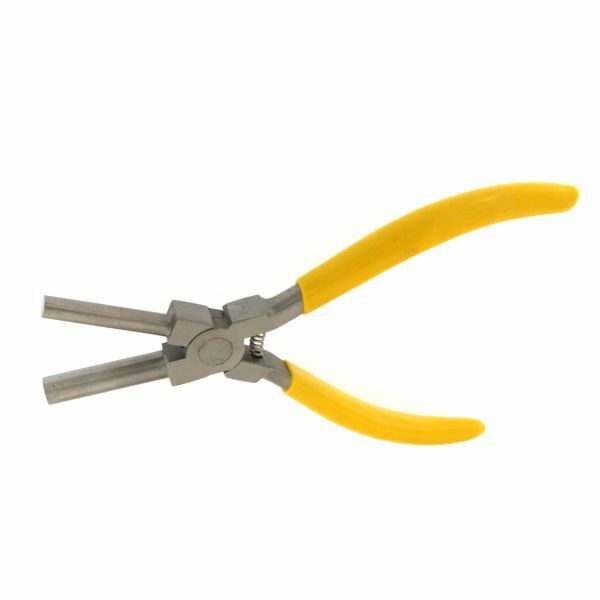 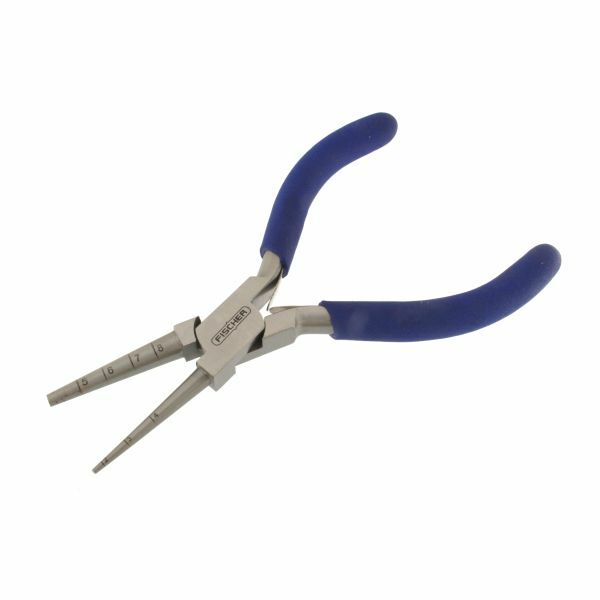 This plier is a handy tool designed to easily create loops. 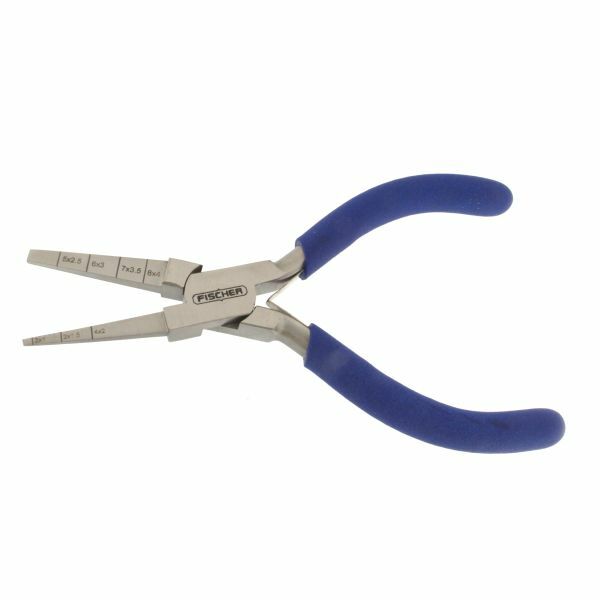 The tips are clearly marked with the associated sizes. 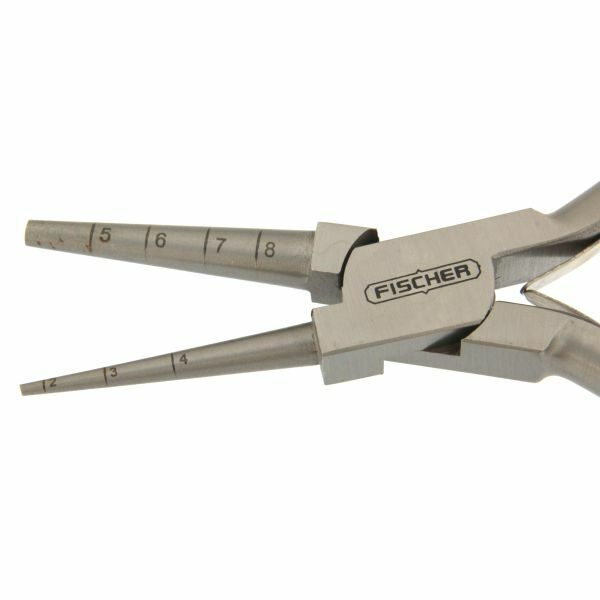 Simply alight the wire with the markings, close, and wrap the wire around the jaw.